Chattanooga Mayor Andy Berke speaks with editors of the Times Free Press at the newspaper in this 2018 file photo. 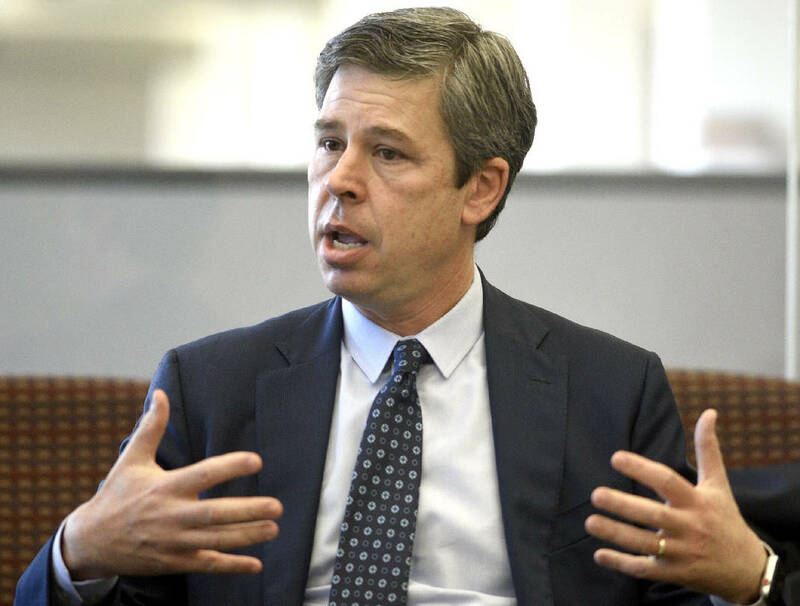 Chattanooga Mayor Andy Berke is calling on the state to remedy TennCare problems after reports that 130,000 low-income Tennessee children — including 5,500 in Hamilton County — lost their health insurance coverage over the past two years. In a letter sent Monday to Gov. Bill Lee, House Speaker Glen Casada and Lt. Gov. Randy McNally, Berke asked leaders to stop disenrolling kids until the process is reformed. He also wants to prioritize coverage for qualifying families and to begin TennCare oversight hearings in the General Assembly. Between December 2016 and January 2019, TennCare enrollment for children in Hamilton County dropped 11.1 percent. Officials say the reduction came after years of significant TennCare growth, and the children were dropped because they no longer qualified or their families didn't respond to mailed renewal forms, according to reports from the Tennessean. But the newspaper also reported TennCare officials said "many members" were disenrolled because they didn't respond to the required renewal forms. The agency was unable to estimate how many that was. Berke's letter states the current disenrollment process is "fraught with pitfalls," such as mailing and operational errors, but there's now no body to provide "rigorous and consistent oversight of TennCare's implementation." "Once we have made sure that kids in our state can receive quality medical care for themselves, we need to get to the bottom of what happened," Berke told the Times Free Press. "Oversight is a big piece of how we find out what improvements need to be made. Governor Lee didn't cause this but we know that these serious problems are there. The Legislature can use its powers to expose that and make sure we can fix it." The letter comes almost two weeks after Berke announced a partnership with the Tennessee Justice Center, a Nashville-based nonprofit health care advocacy group, to locate and help children who lost their state-sponsored health insurance. Michele Johnson, the Justice Center's executive director, said the TennCare enrollment process is a "red-taped, tangled mess" and she's glad to see attention on the issue. She recalled helping families submit enrollment packets, only to have them lost by TennCare up to three times. "I think the problem is, mostly families don't know," Johnson said. "They're wandering around feeling like they're covered, and they're not."